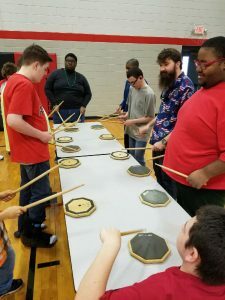 This spring, Aaron Plunkett, DYS’ percussion coach, started a class at Decatur High’s Developmental Center. The students are loving their drumming activities! 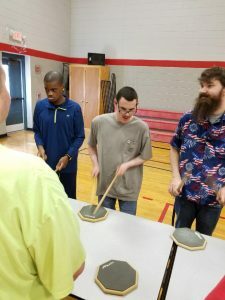 These pictures include Aaron, Developmental Center students and their helpers. 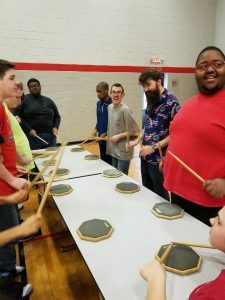 We are so delighted to have added this new chapter of our percussion program! 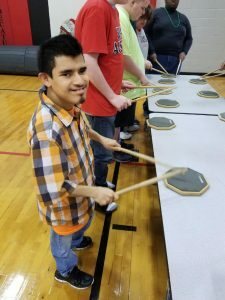 Our next step is to get some new instruments for these students.